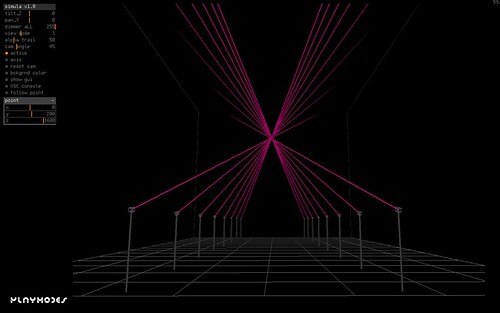 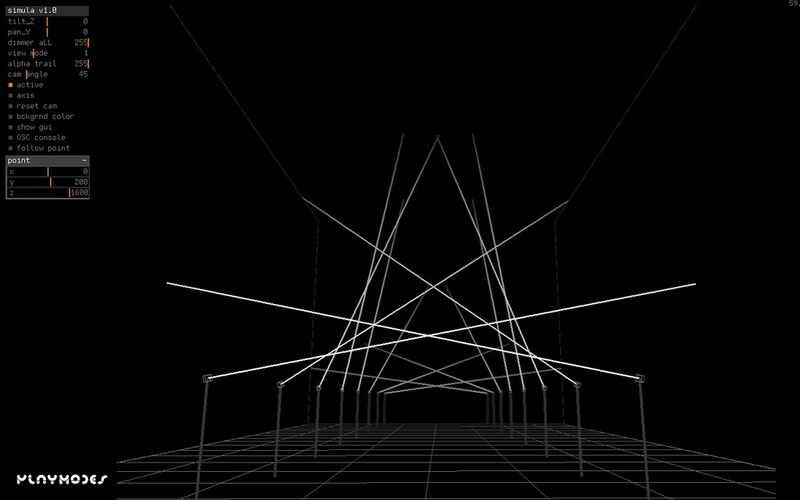 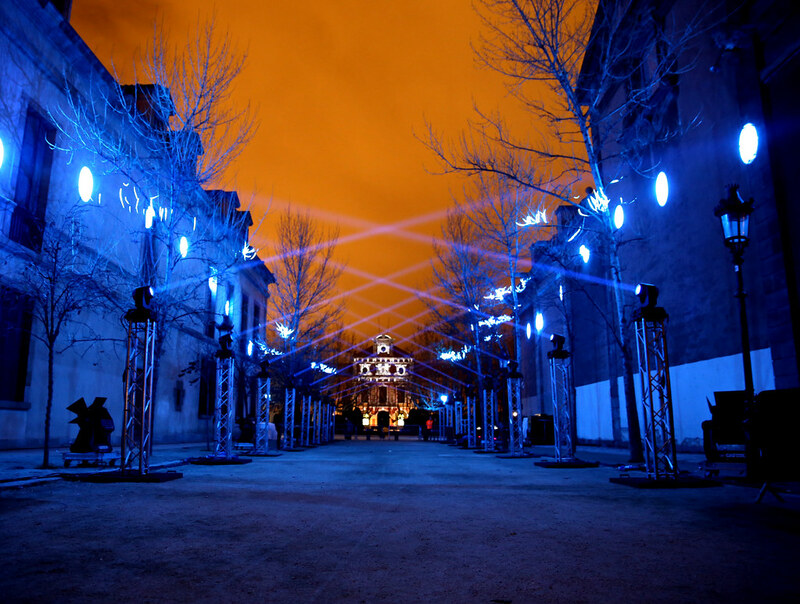 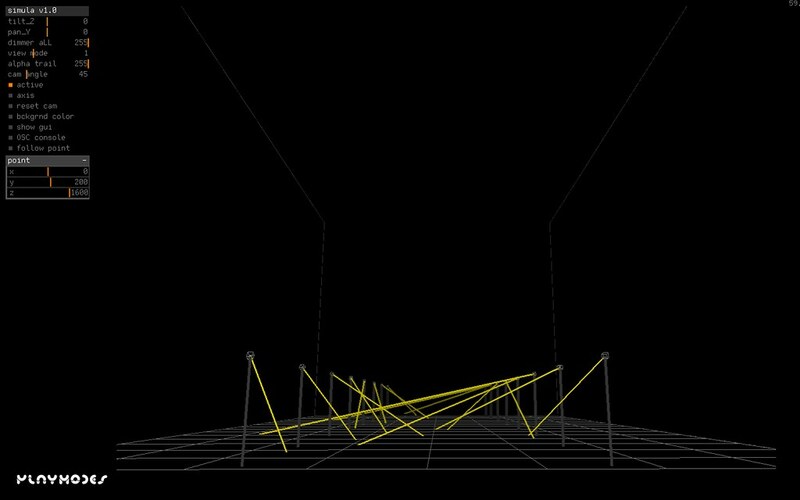 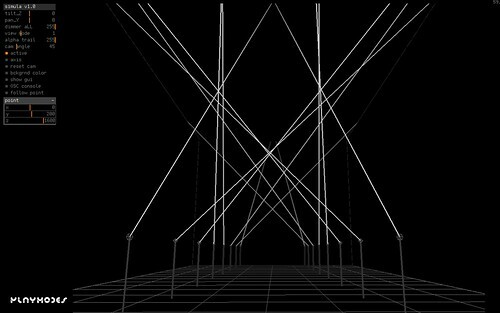 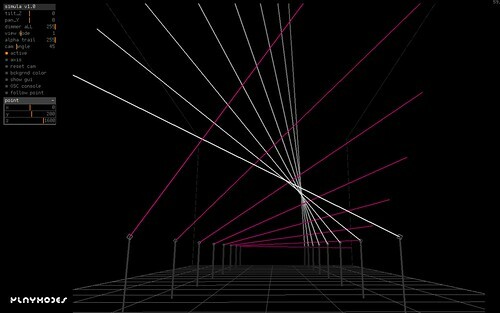 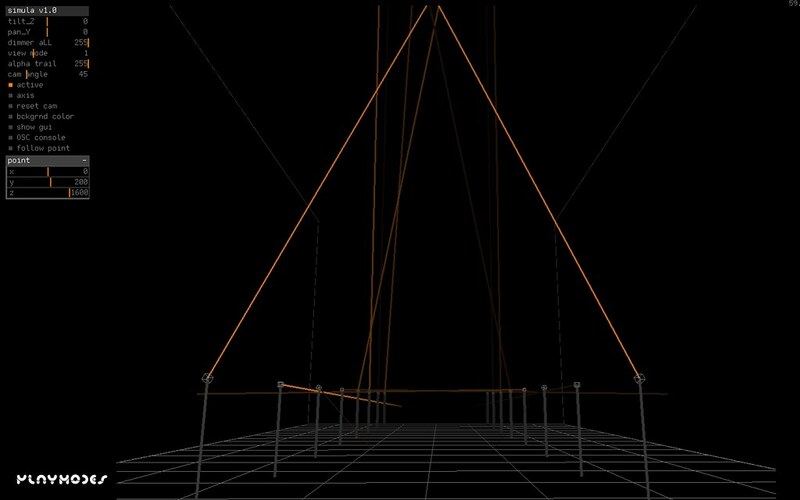 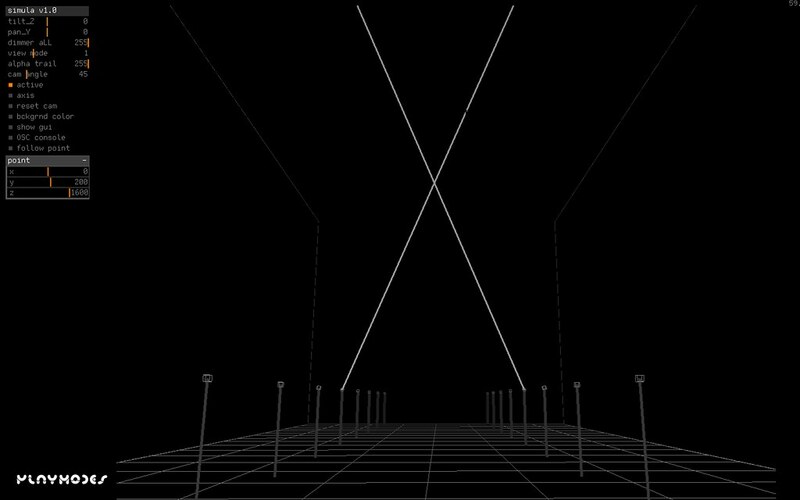 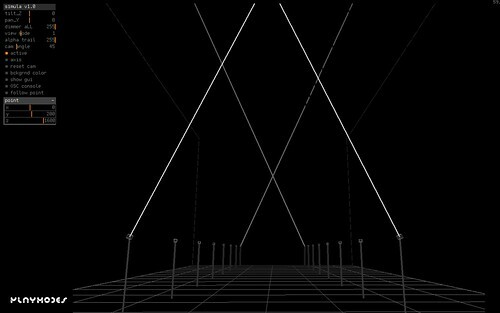 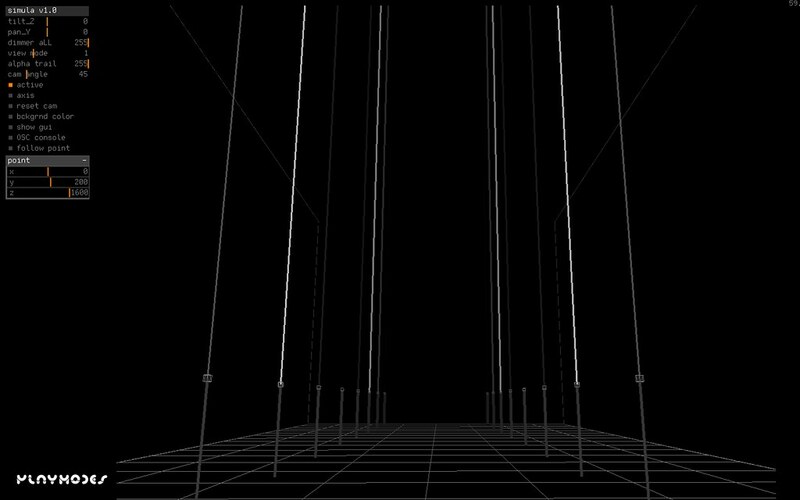 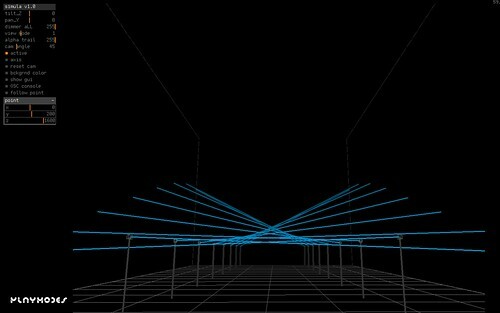 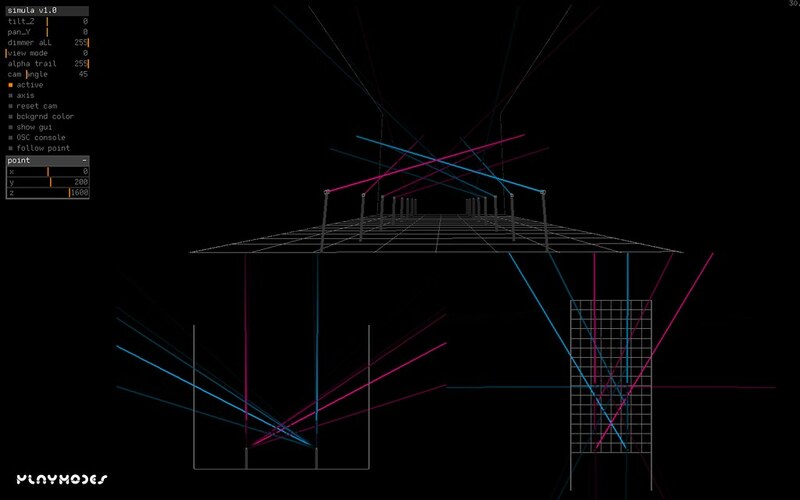 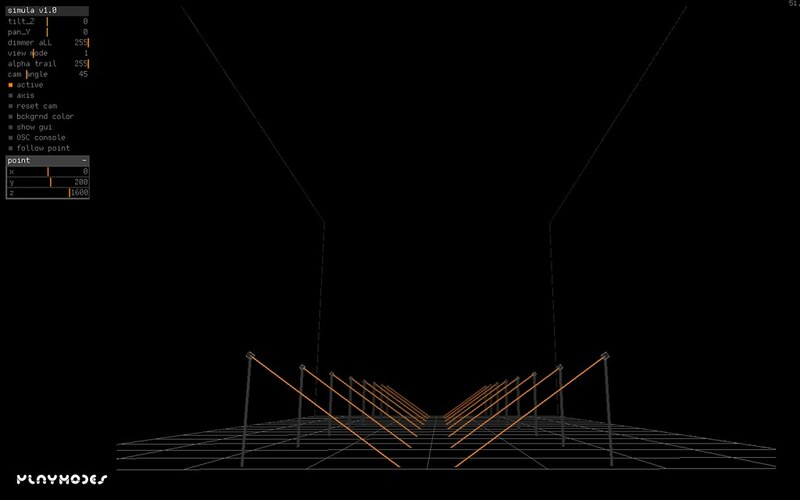 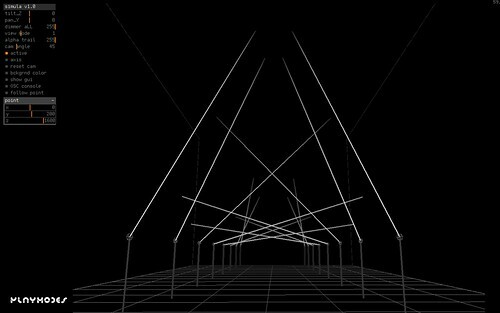 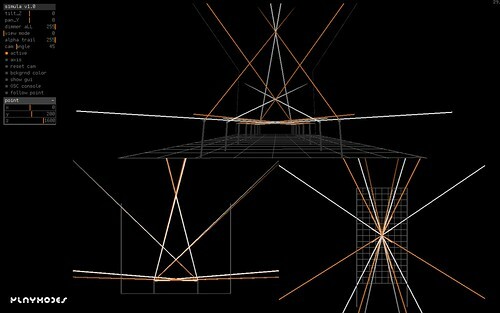 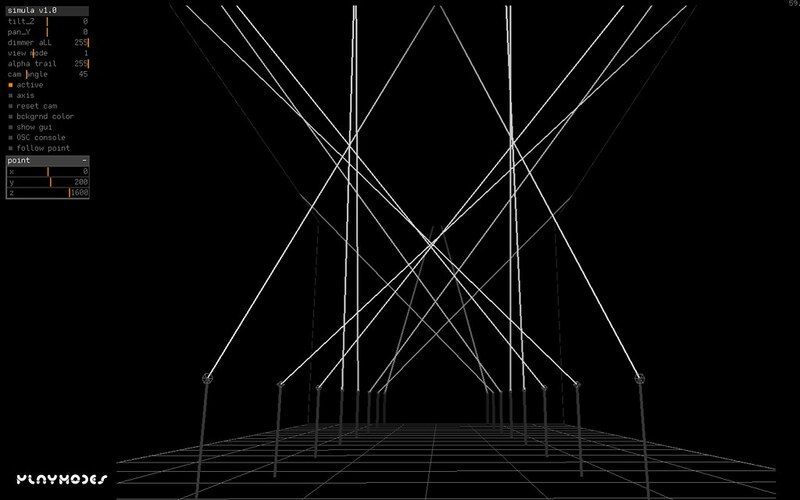 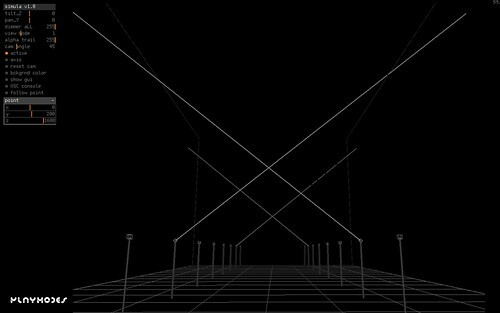 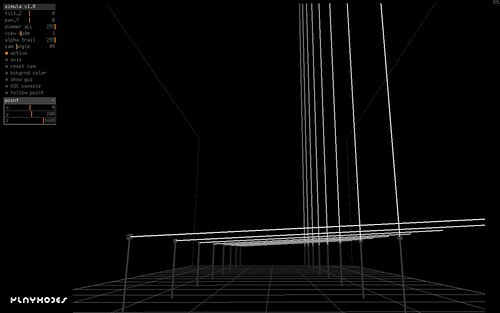 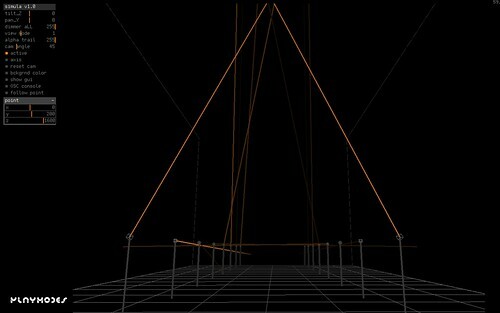 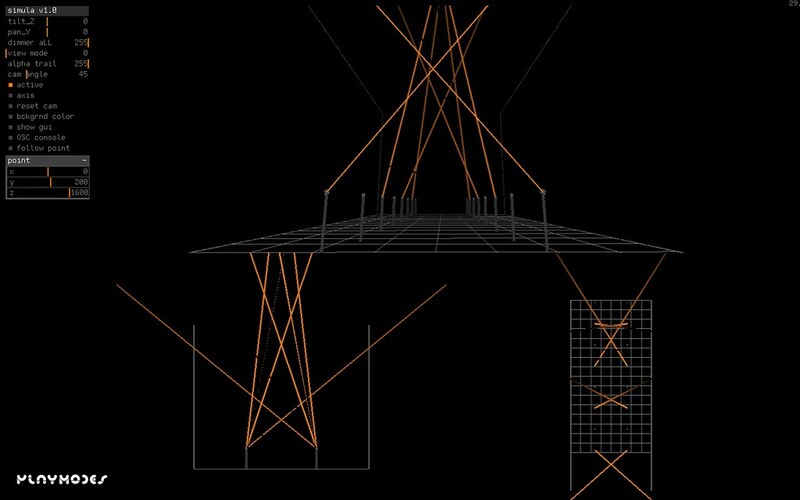 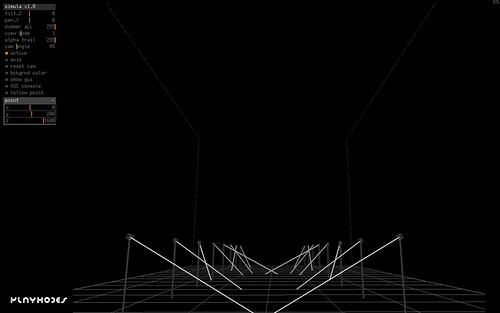 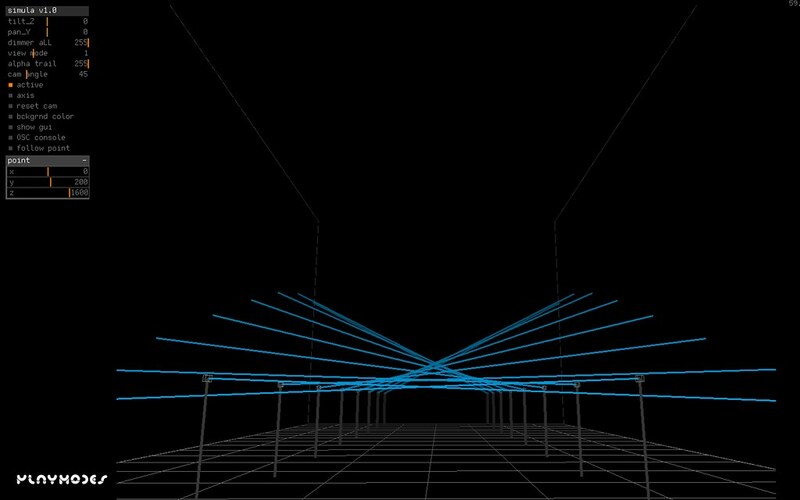 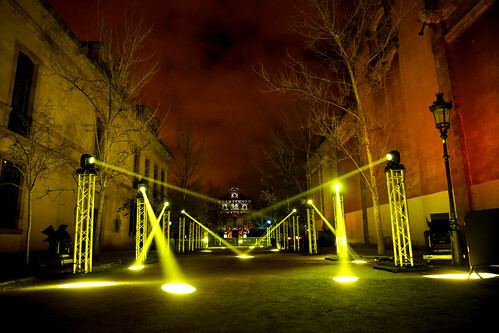 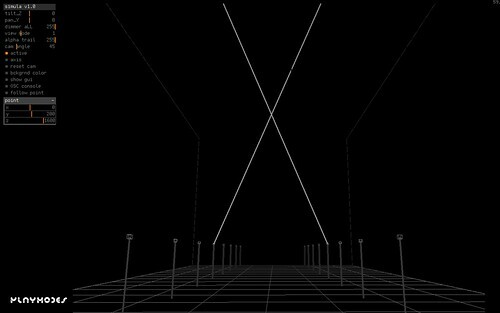 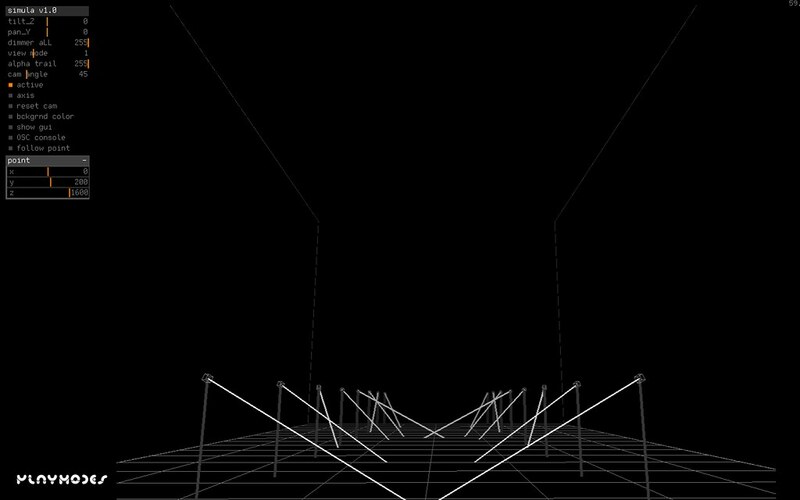 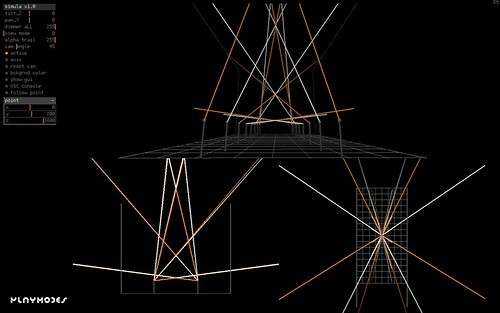 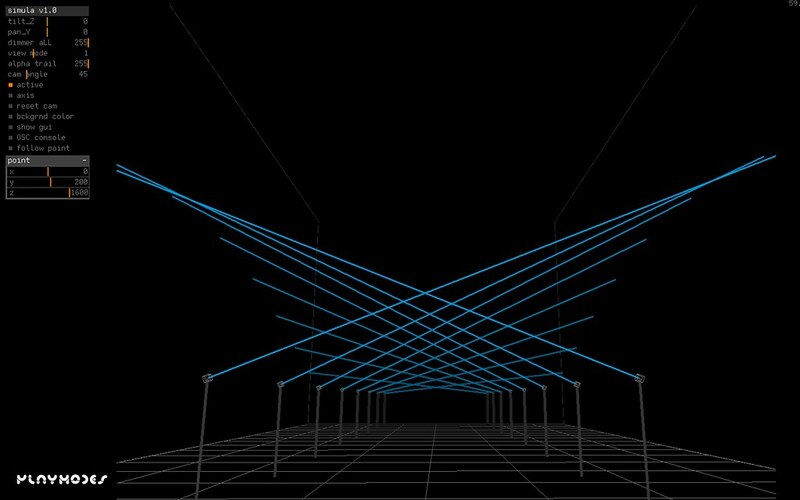 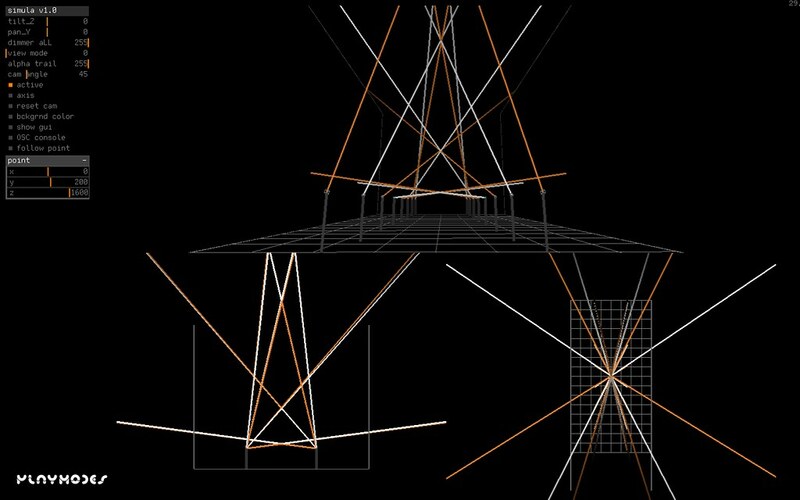 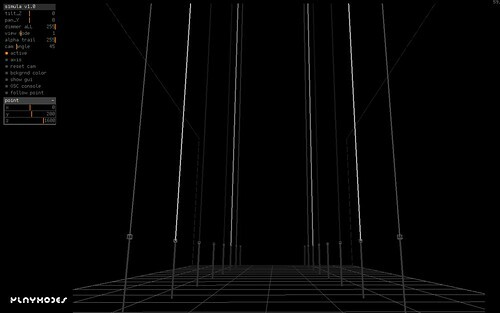 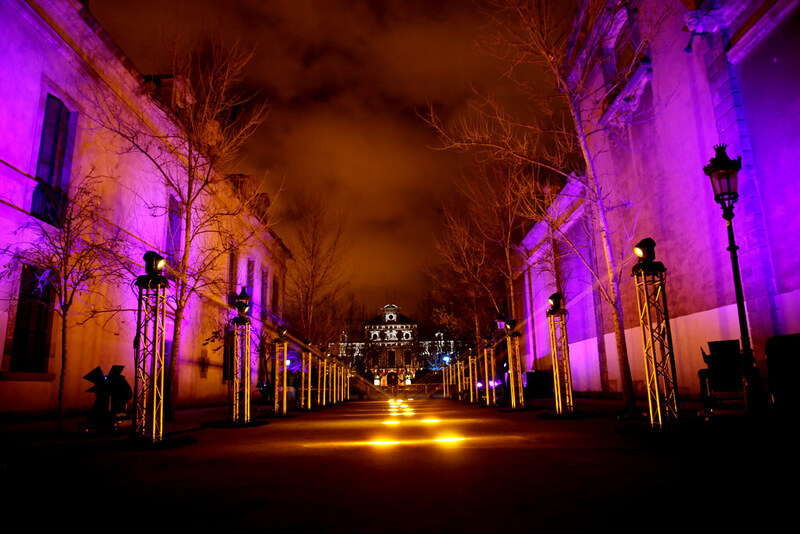 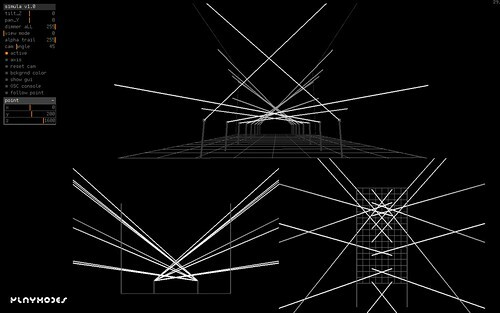 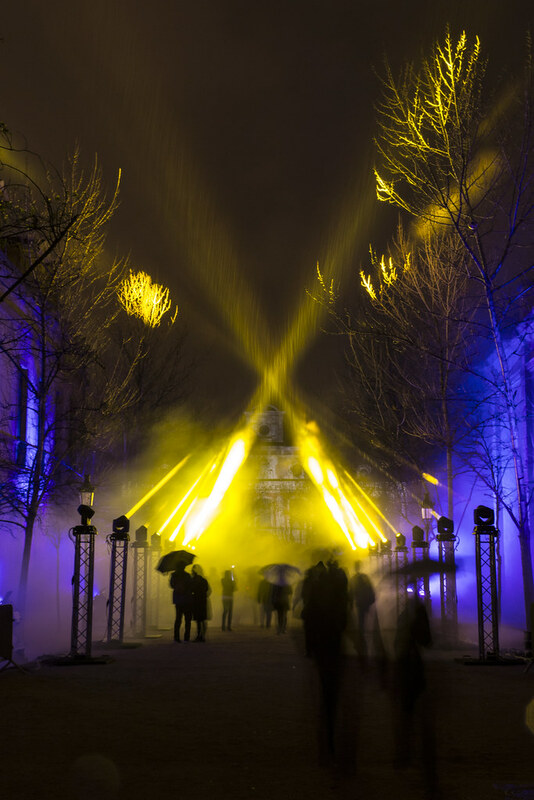 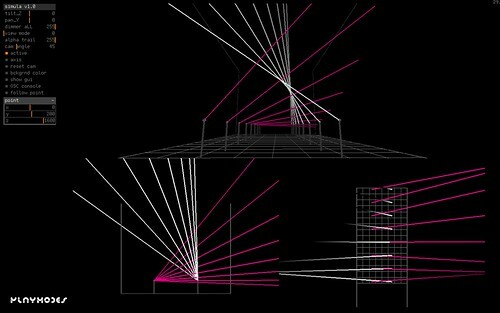 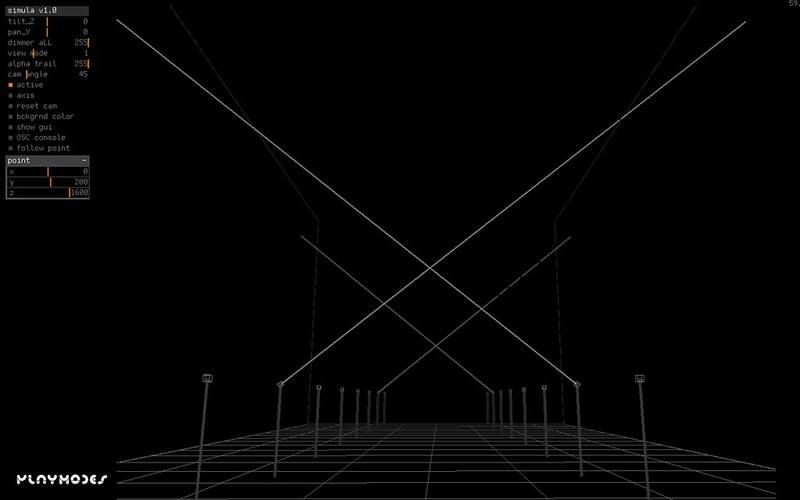 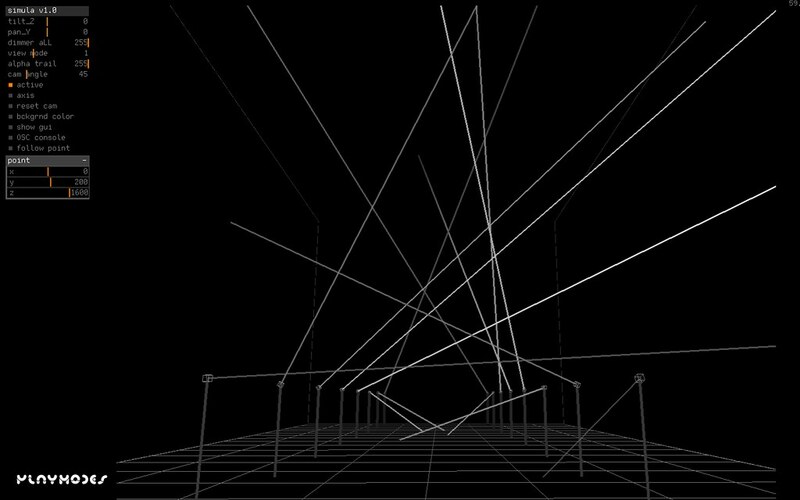 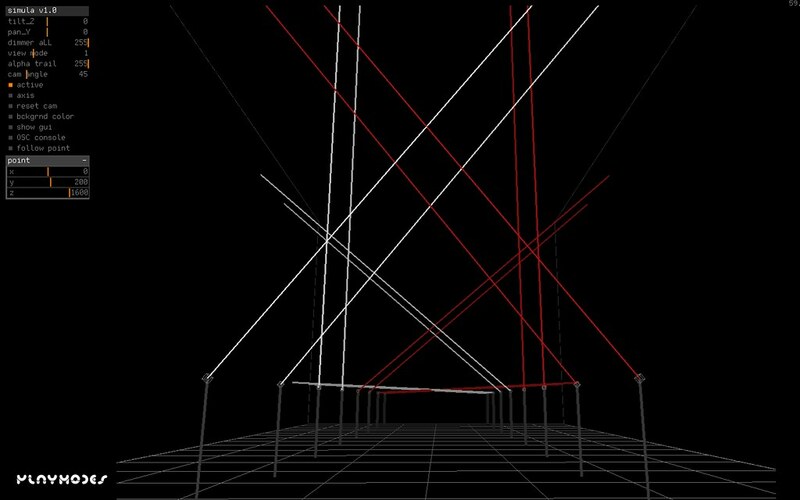 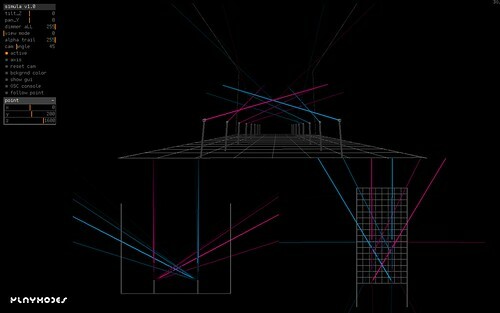 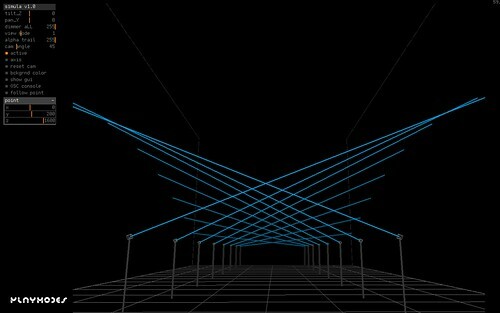 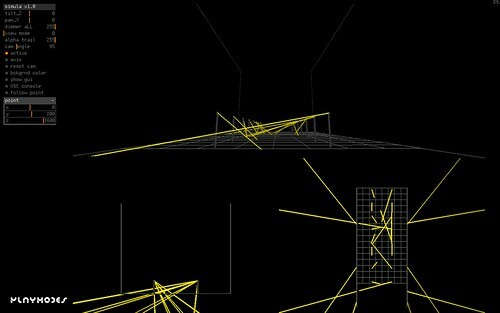 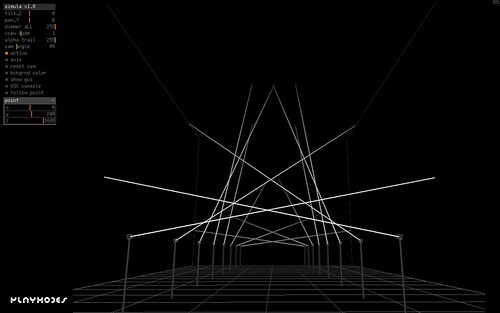 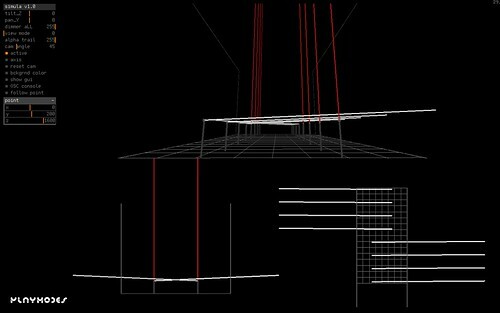 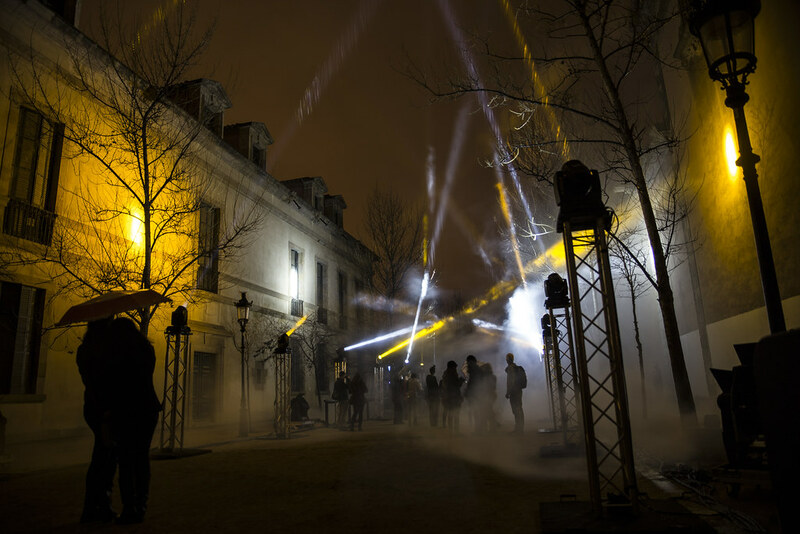 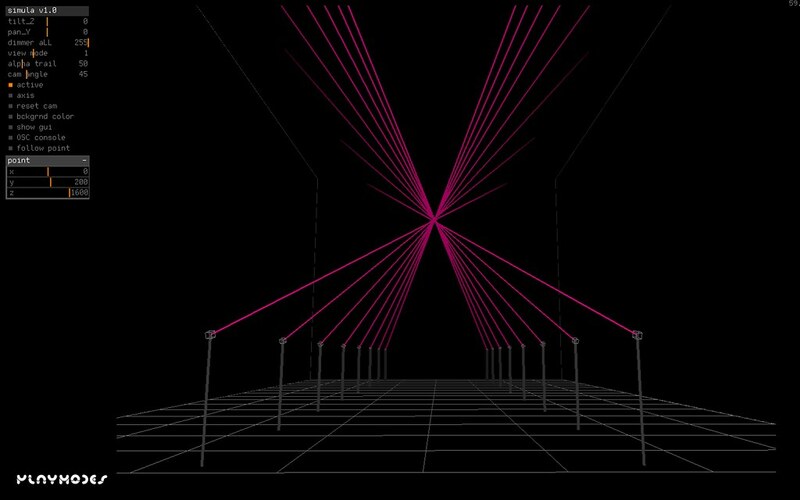 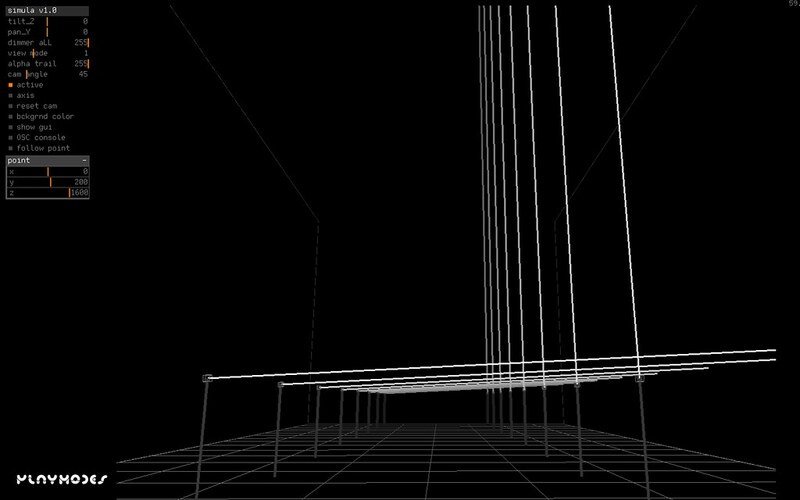 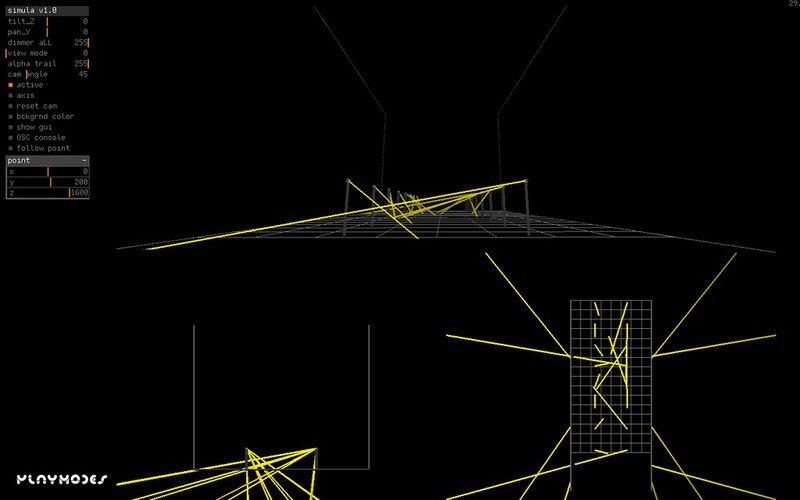 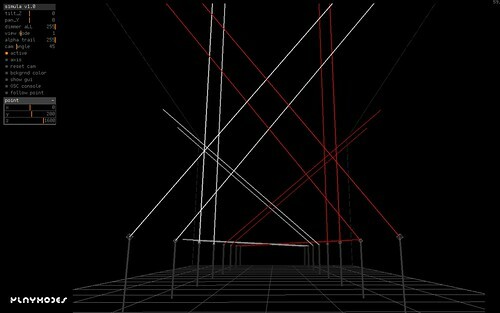 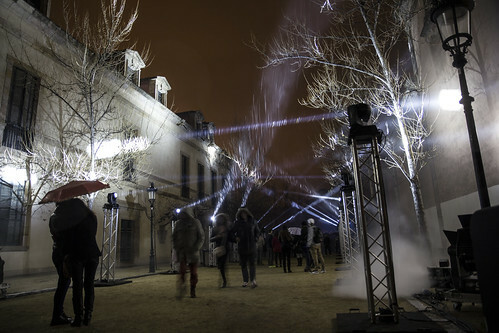 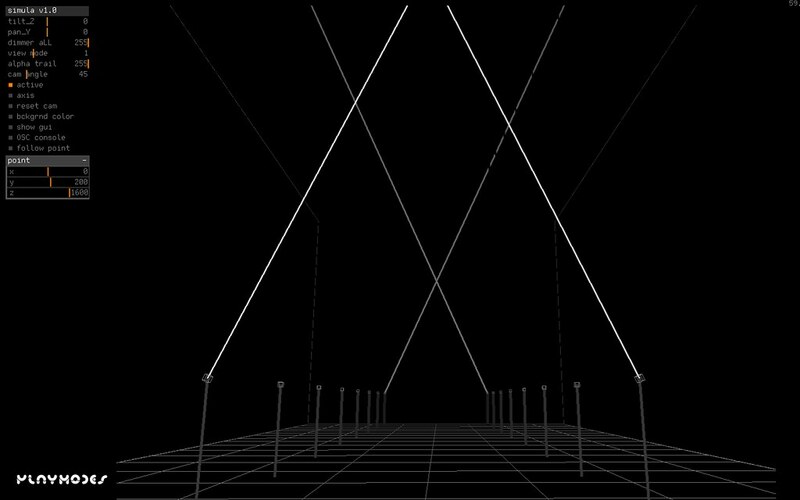 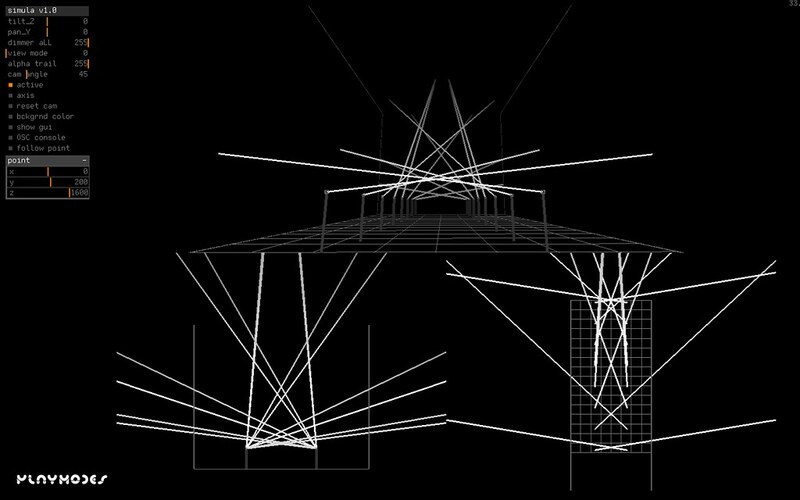 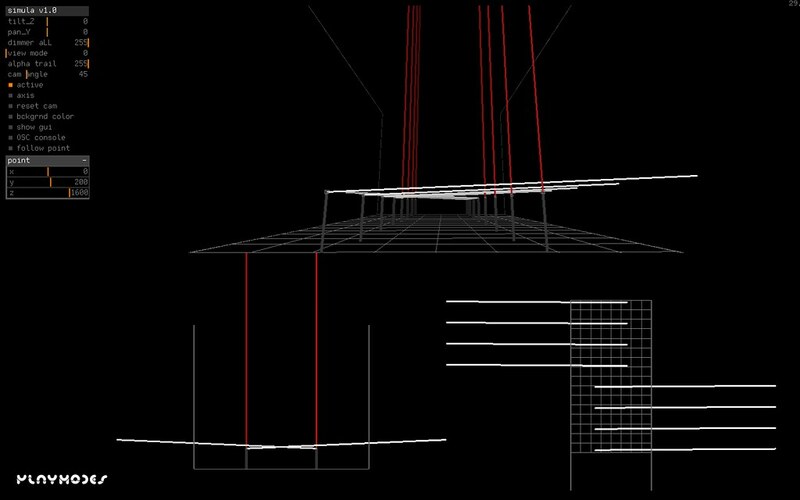 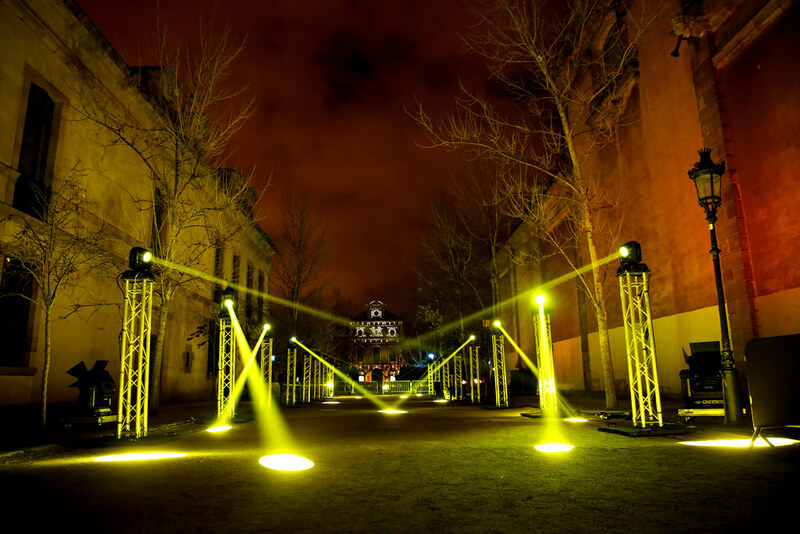 “Axial” is an audiovisual immersive space created by PlayMID. 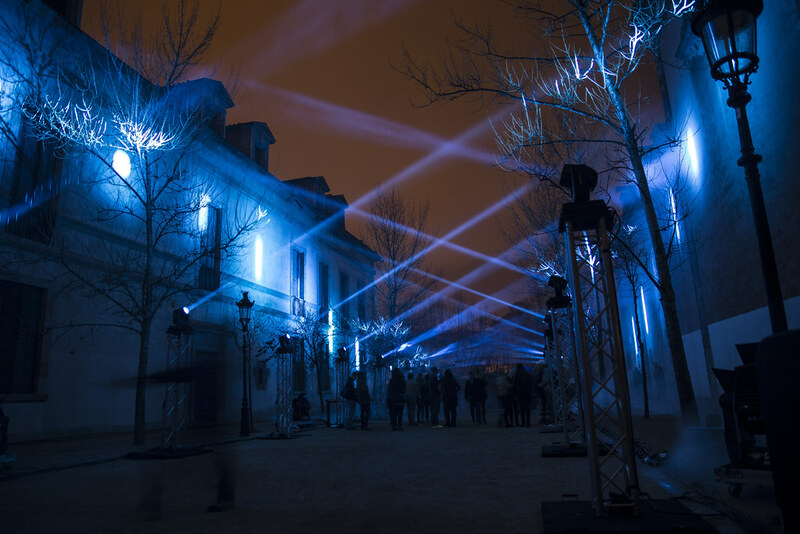 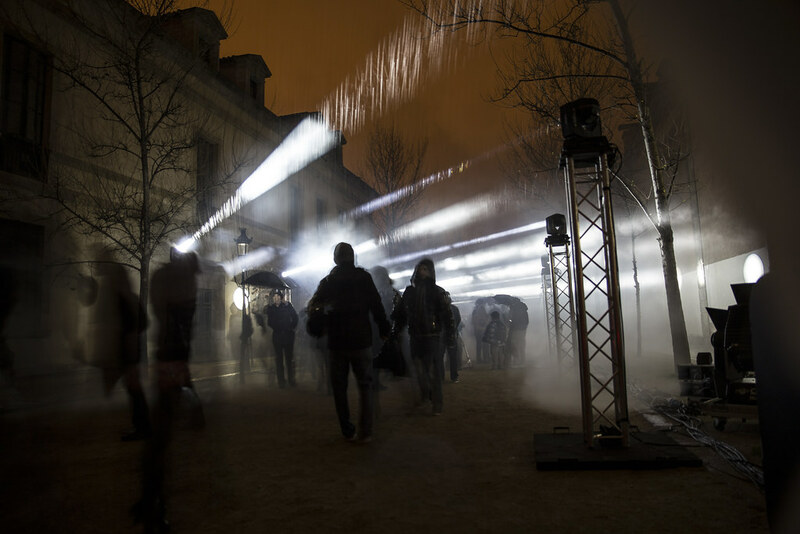 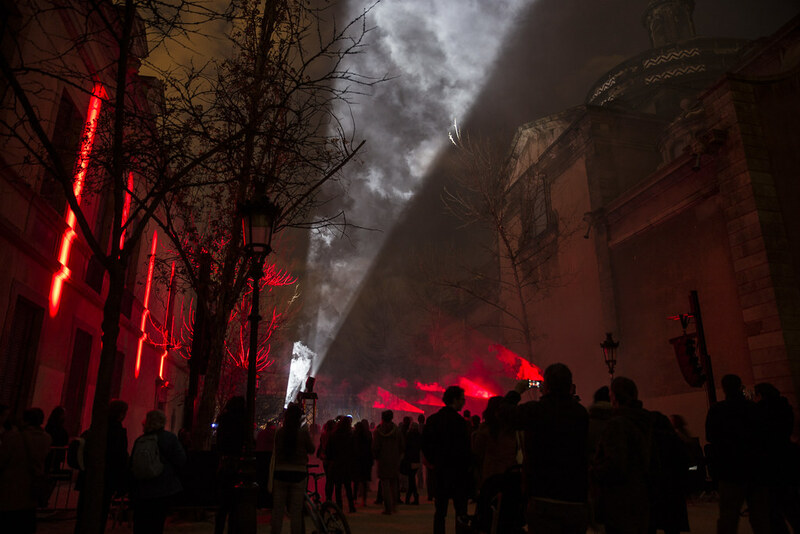 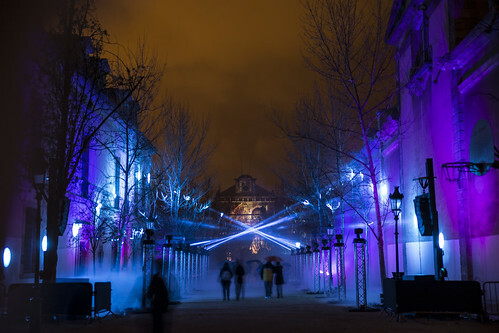 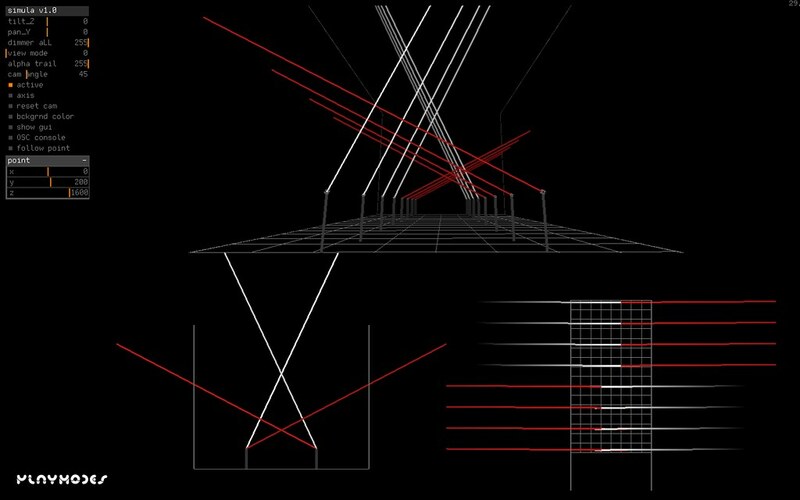 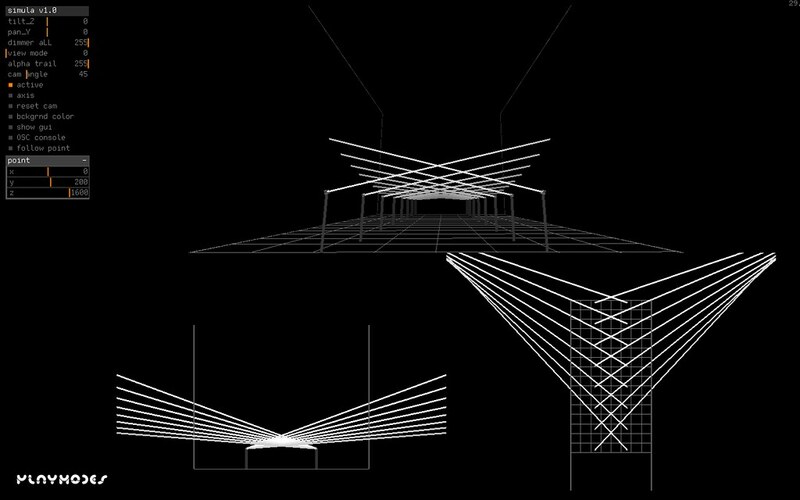 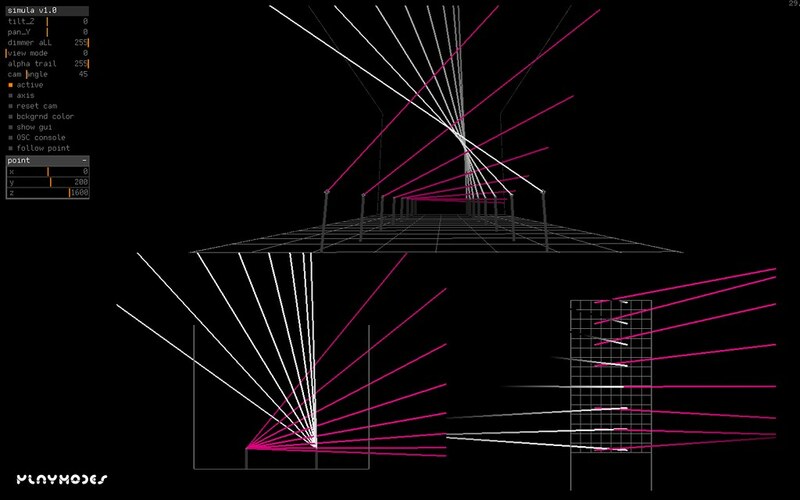 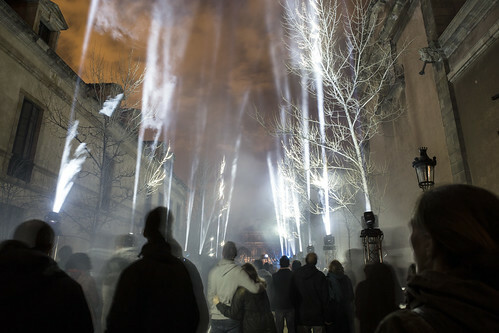 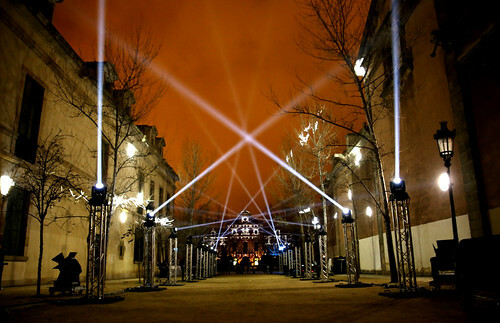 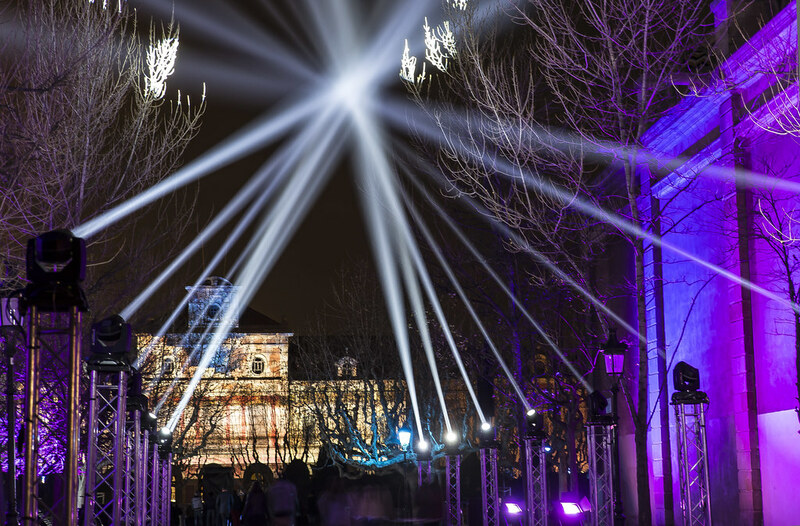 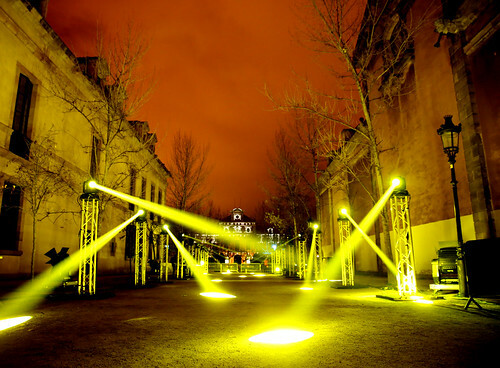 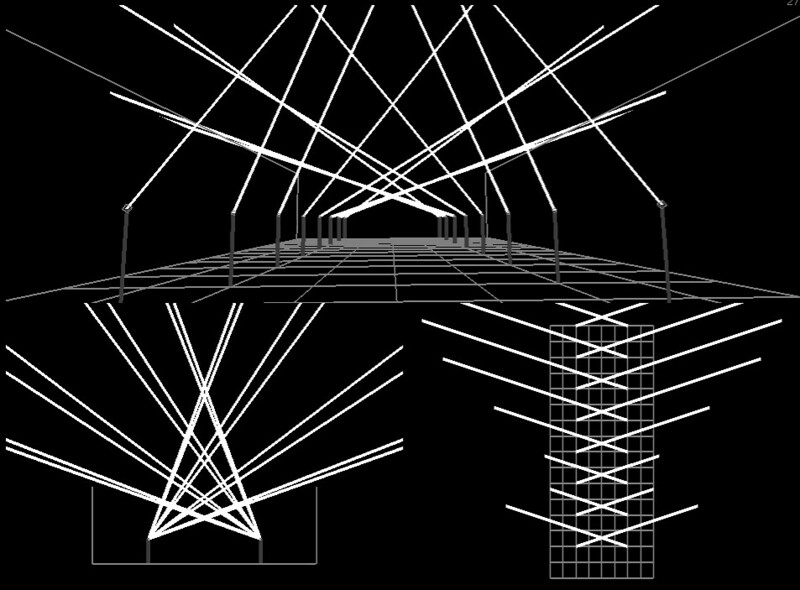 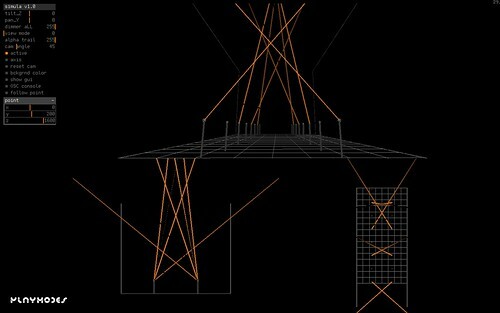 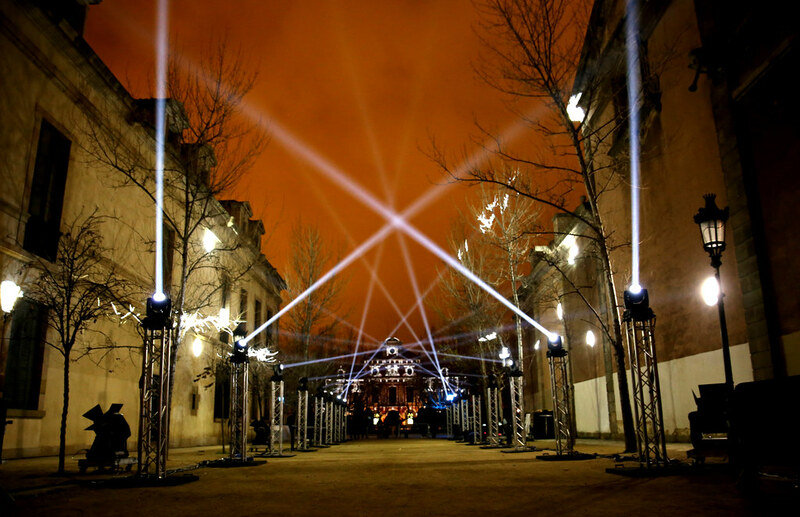 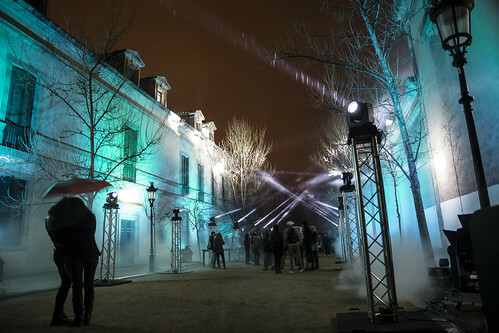 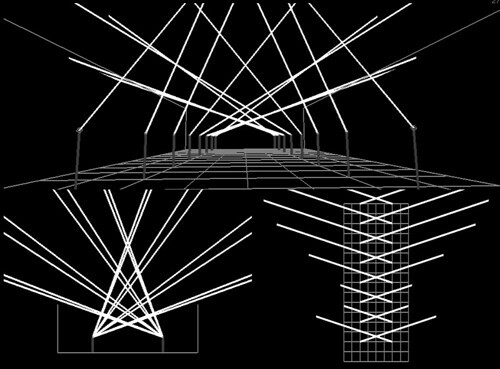 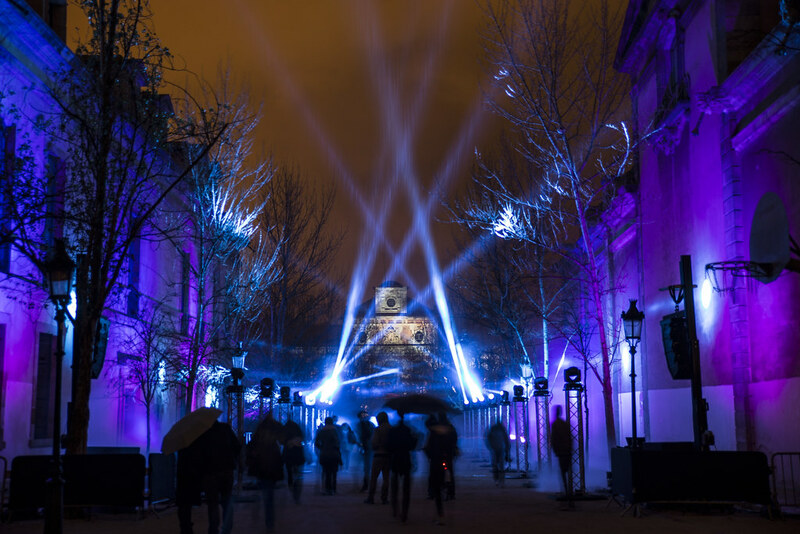 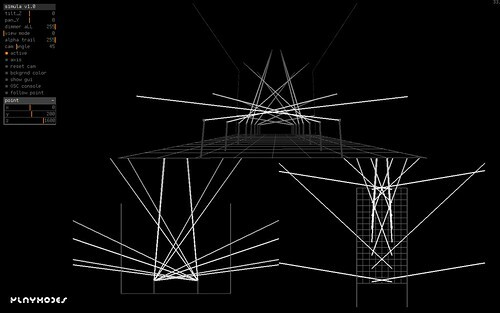 Through the digital manipulation of 16 motorized light beams, dynamic light architectures are created, which evolve in space and time, creating alive forms. 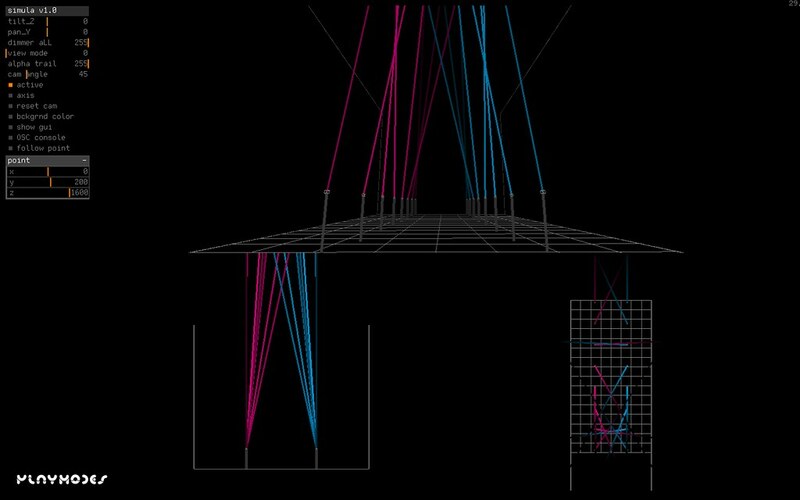 Sound design of the piece is unlinkable from dynamic lighting, as it belongs to the same logical system, giving birth to sound geometries, sound and light architectures which surround the audience in a dance of light. 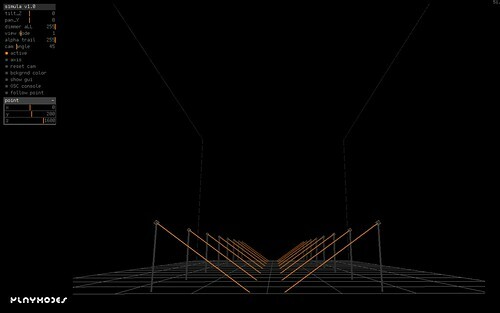 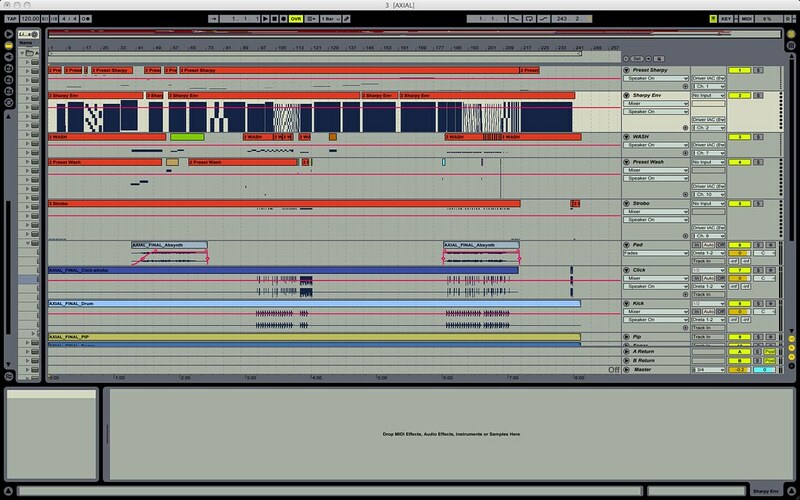 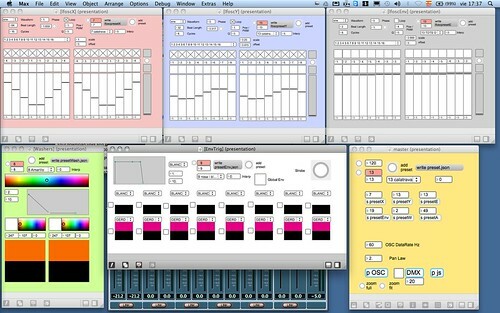 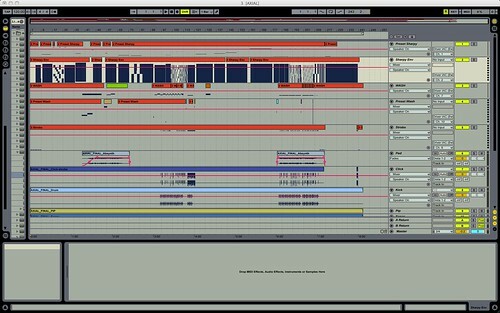 For the creation of this show, we programmed a modular software for DMX and audio control using MAX/MSP.  This is based on the concept of “function chase”, basically a chain of delayed Low Frequency Oscillators which control light intensity, RGB value, Pan and Tilt position, and also audio parameters of custom-made Reaktor audio engines. 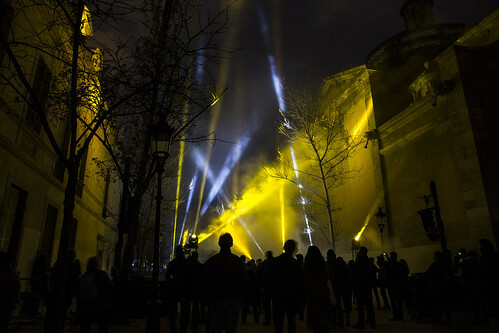 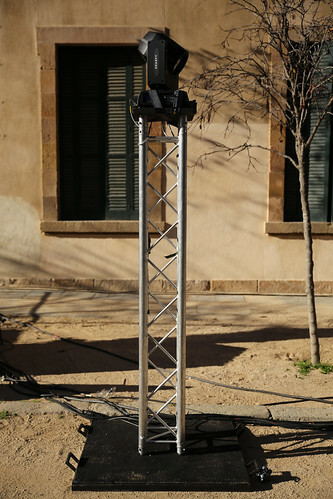 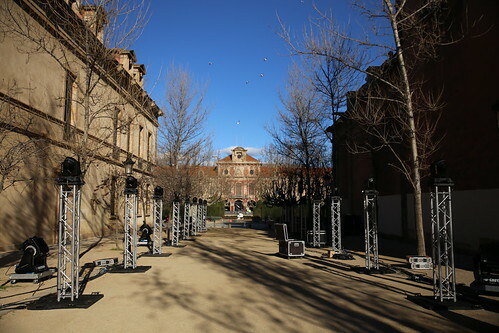 Axial was part of LlumBCN festival. 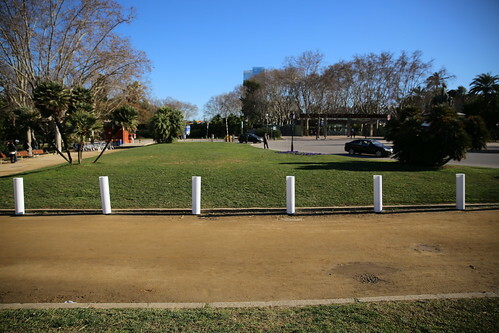 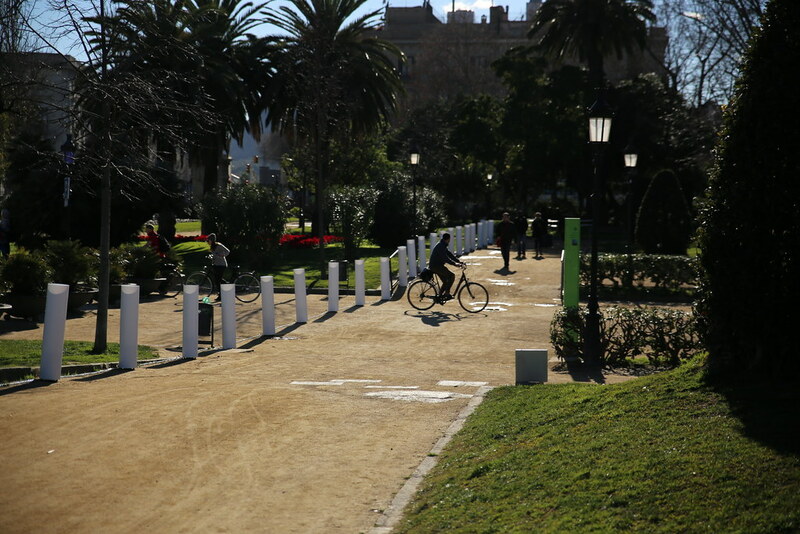 Barcelona, Febraury 2014.